Indie rock band The Cribs have propelled Wakefield United FC to Twitter fame after announcing a sponsorship deal with the club. Wakefield United, who will make their competitive bow in a local league later in the year, are an amateur football club with no current aspirations to become professional. They do however have big plans to help their local community, aiming to bring together a diverse population which includes asylum seekers and locals living in poverty. And after the band, which was formed in Wakefield, tweeted about their sponsorship the club experienced more publicity than many pro sides do, gaining an estimated 1,500 followers in less than 24 hours. “Proud to announce that we will be sponsoring @WakefieldUnited in their debut season!” the band wrote on Twitter. “Not only do we love our town, but this club is a truly great initiative, bringing asylum seekers and refugees together with city residents under the banner of football #unitingnationsinwakefield”. Club chairman Matthew Thomas told the Press Association: “What better way is there to bring those people together than through the universal language of football? And the sponsorship from The Cribs will only make those aims easier to achieve, having pushed the club into the public eye on social media. 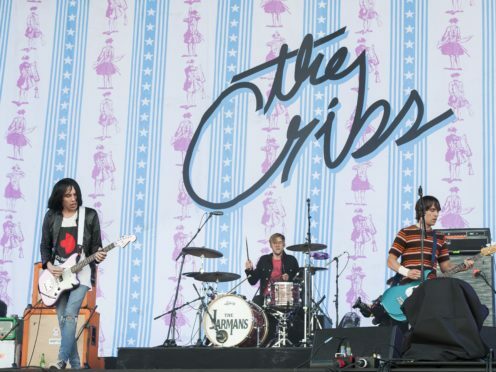 Thank you to @thecribs and to all The Cribs fans for your support in our project, we cannot thank you enough. “In terms of the club and our aims to reach out to our district and community, the deal has elevated us to incredible reach in such a short space of time,” said Thomas. “This unique deal and the sale of shirts enables us to build a sustainable club, with all sales being to cover costs of running the club and helping us to help others.